This is a page for all the Reiki course information that Asharni is able to offer. All weekend courses are held in Torquay. Accommodation is available. Asharni is of course a Member of the Australian Reiki Connection as a Teacher/Trainer of Reiki. 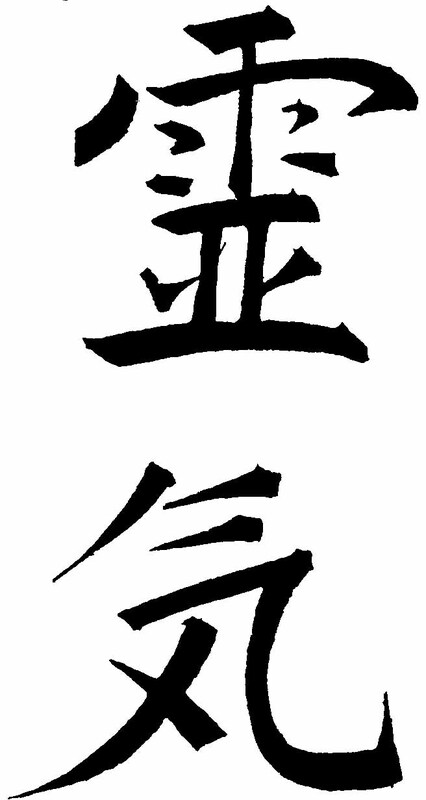 The system of Reiki is a Japanese spiritual practice which supports healing and personal development. A Reiki course is an enjoyable way of learning how to put a disciplined spiritual practice in place and how to become more intuitive within yourself. It works on developing core energetic strength. Reiki precepts give us spiritual guidelines to reflect upon. 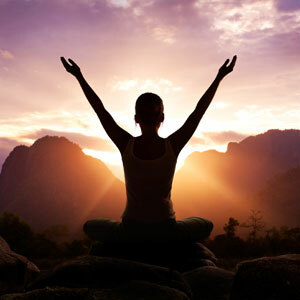 Reiki meditations help us reconnect to our inner power. Hands-on healing brings us well being. Symbol and mantra work help balance us. Attunements are used as energetic blessings. All of this supports us in being healthy, happy and whole. This is where it all begins! Your “reawakening” to hands on Reiki healing. I say “reawakening” because we have probably all been able to do this since time began …. But somehow along the way we have simply forgotten. This Reiki course will “turn the switch back on” for all of you. YES ALL OF YOU. It is common to think “can I really do this?” The answer of course is that absolutely you can. I do teach from a predominantly traditional Japanese perspective. By this I mean that I teach as closely to what Mikao Usui, the founder of Reiki, taught as is possible to attain after such a long time. 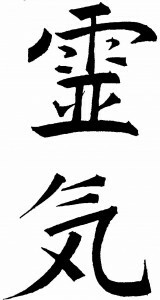 The system of Reiki was first introduced in 1920. I feel we are currently in a period of “renaissance” where we are looking back in order to move forward with greater strength and clarity. Reiki has been around for such a long time that many bits and pieces have been added to the system. As fantastic as this can be, I have personally felt the power of the system of Reiki lies in its simplicity. This can be found by going back to the source. Sometimes the most powerful and profound experiences come from going back to basics. The Level 1 Reiki course will talk about Reiki and its history/lineage. This is an important component of the course. It will then introduce you to meditations, working with hara centres and the parts of the body which will take on more energy. An introduction to the Reiki precepts will also feature in this course. The Precepts are meant to be used in meditation. They are the lynch pin of the system. A very powerful tool. And yet they are often passed over in modern Western traditions of teaching. You will receive four attunements from me during the weekend. Attunements are a way of helping you open up to the energy. After receiving your first attunement, you will start doing “self reiki”. So you will practice placing your hands on your body and feel the energy flow. After this you will learn how to give Reiki to each other. My courses are deliberately kept small in number. Usually only four people. This way there is plenty of time for discussion. Often I find that students are more comfortable in a smaller group. With less people in the class, the length of time taken for group attunements will be greatly shortened and this allows time to spend learning other skills. All my courses contain a 21 day post course e-programme. Information and exercises will be sent to you each day for 21 days to help you build on your practice. I hold monthly Reiki share nights where you can come and raise questions, practise meditations and do some healings. “Thank you for a brilliant weekend! It was a great group and a supportive space to learn in. As I mentioned I was a little nervous before we started but I got a lot out of it.” Karen M.
“Thank you for a wonderful weekend, your efforts and the passion with which you teach. Your perspective and approach resonated with what I was looking for.” Jasmine. Cost is $350. This includes certification with lineage, workbooks, lunch and snacks. It also includes a 21 day e-course for your continuing Reiki practice. The Level 2 Reiki course is where Reiki really comes together. DO NOT LET ANYONE TALK YOU OUT OF DOING REIKI 2! This is the interesting stuff. It is my personal favourite. It builds firmly on the skills you learned in Reiki 1. Reiki 2 is about personal development. It involves symbol work, chanting, meditations and learning how to go more deeply into your Reiki practice. Distance healing is also covered. After completing Level 2, you are ready to become a qualified practitioner. Level 2 Reiki course is also an excellent way for people to reacquaint themselves with Reiki which they may have learned many years ago but have since forgotten. No need to go back to square 1. Come and join a Reiki 2 course. “Reiki level 2 was the most brilliant workshop I have attended.” Narelle S.
A minimum of two months is required between Reiki 1 and Reiki 2. This is to allow the newly awakened energies strengthen within you before proceeding further. Often people are impatient and after a first taste it is only natural that they want more … but patience and practice is the name of the game here. No need to be impatient with Reiki. Cost is $380. This includes certification with lineage, workbooks, lunch and snacks. It also includes a 21 day e-course for your continuing Reiki practice. Reiki Mastership is a brilliant course. You will finally see how all the pieces of the Reiki puzzle fit together to make a complete system. My course focusses on the traditional Japanese method of Usui Reiki. Our time together will be spent cultivating a feeling state rather than an intellectual one when working with the symbols, mantras, precepts and attunements/reijus. We will be doing quite a bit of practice in holding an energetic space. We will not be doing any “hands on” healing sessions in this course. Instead we will all be working on how to better connect to our authentic selves … our “Reiki” … and from that position how we can radiate our energy from our “beingness”. We will be learning how to “flow” with our Reiki. I teach Reiki Master Level courses over a period of three days, with a six week e-programme provided which will require an hour per day of practice. This e-programme is optional but recommended if you want to move more deeply into your practice. It is set up so that you work with and reflect upon one Reiki Precept per week. I will also send out regular “Reiki Master Daily Quotes” to help you along the way. Of course you can always contact me with your Reiki questions. Master Level takes you further into Reiki. It teaches you more uses for Reiki, further meditations, how to give Reiki attunements and prepares you to teach Reiki, should you wish to. Most people, however, will do Mastership for their own spiritual development. It is recommended that there be 12 months between Level 2 and Mastership. 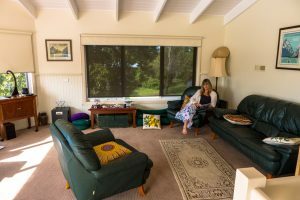 However, Mastership can be undertaken six months after Level 2 provided you have been working solidly with Reiki and feel you are excited and ready for the next step. If you have not done Levels 1 and 2 with me, you will need to speak to me before joining the course. There are many different ways a person can learn Reiki and I need to know where you are at, so to speak. It may be that you will need to do some “pre-course” catch up. I will also need to see a copy of your Reiki lineage. The Mastership programme focusses on your own practice of Reiki. It is important to have spent time with Reiki to internalise the teachings before you teach it to others. When you are ready to teach, I do offer a private Reiki Teacher Training day, should you require it. You will have private time with me where we can go over all aspects of teaching and work together on designing a programme for Level 1 and Level 2.